Cool. 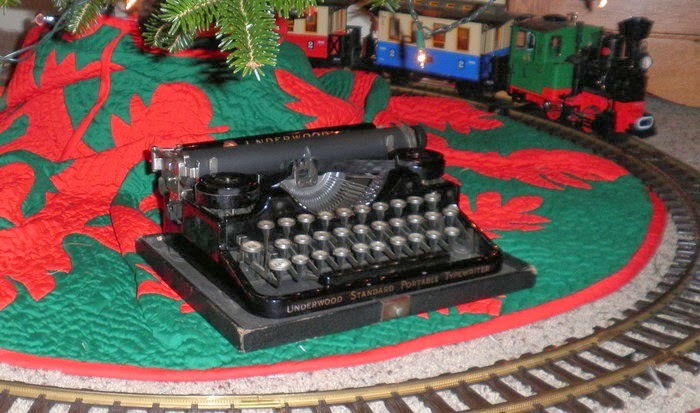 Happy typing and merry Christmas! How nice to get an old typewriter working again! Have fun during the rest of the holidays. Good Morning! Who, and where is JJ Short? I haven't heard of them. I thought after Ames went out of business, that we 'd all be platenless. It's good to know that there's still someone redoing platens - I need my Royal KHM redone. I also love your wooden "lift-up" typewriter desk, haven't seen one of those for years - wish I still had one. Have a great if not cold day! !.